We at Qulture.Rocks strongly believe in disproportionately awarding top performers, and dealing fast and objectively with underperformers. 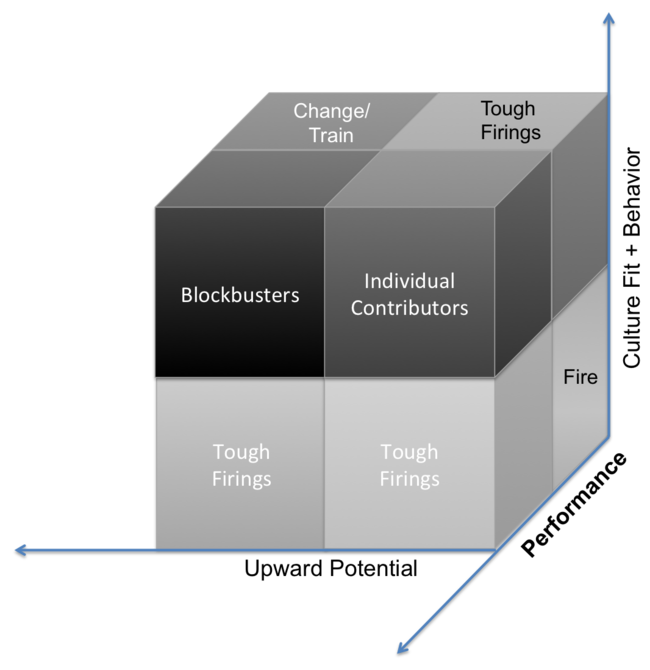 But we don’t think the two axes of the 9-Box, a common HR tool, are enough, nor that having so many intermediate boxes helps leaders figure out the wheat from the chaff. That’s why we propose a new tool called the 8-Box Matrix (patent pending) that’ll enable leaders to more accurately understand their talent pool. Voilá! The 8-Box removes all those in-between categories that do nothing but cloud our judgement, but adds a very important dimension to the matrix, that was lacking in the previous iterations of the tool: Cultural fit. Culture eats strategy for breakfast. And it’s the only sustainable competitive advantage. So why do so many great companies ignore such an important dimension when managing their talent? Do you feel that a tridimensional matrix is just too much? Then scrap potential, and stick with culture fit. We at Qulture.Rocks also strongly believe that culture is much more important then potential when dealing with your people. So if you have finite dimensions to display your matrix in (ha ha), stick with Performance and Culture. Why? Two main reasons: first, potential is easier to grasp trough common sense. We tend to have a better feel for the great leaders, since they’re probably already inspiring and motivating their colleagues, and showing themselves. But culture fit can be a poison, that eats your company from the inside, if not dealt with. Finally, some people don’t want to be leaders - and even your company may not be able to house them all -, so stick with your amazing individual contributors, because they work wonders for you. 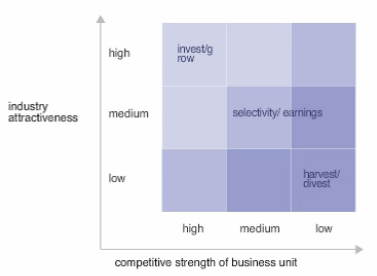 Why the 8-Box Matrix is relevant? Because you have only so much in resources to allocate to your talent pool. So make sure that your Blockbusters and Individual Contributors, who show great performance and great cultural fit, are well paid, happy, and will NEVER EVER leave you. These guys should be closely studied, for after them you’ll model your competence signatures, surveys, and interviews, in order to find more and more of them. And fire the individuals who fare poorly on all three axes. They have nothing to do with your company, and will surely do better somewhere else, where their skills, beliefs, and results will be better employed. Although the matrix was developed before Michael Porter’s 5-Forces Model came to being, it can now be understood as an organizing framework with which to sort through analyzes produced under it. 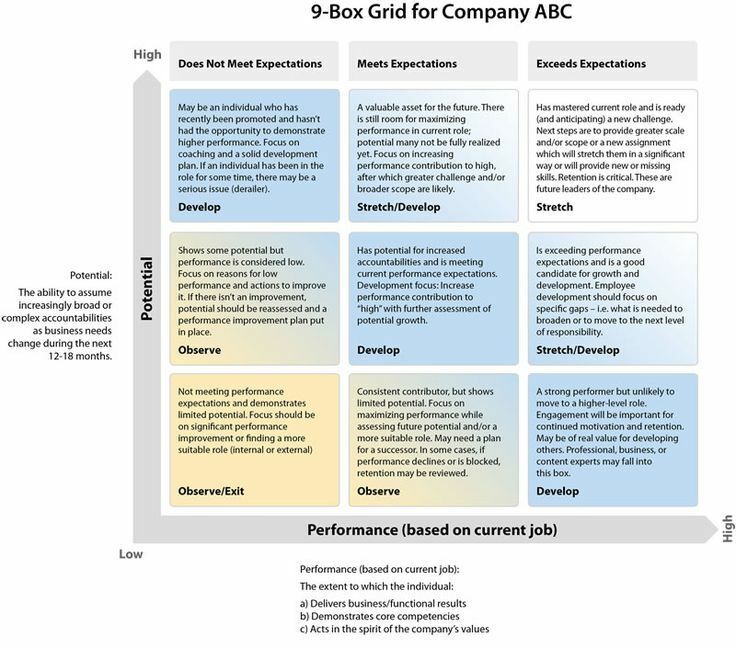 The HR application of the 9-Box retains its look and its underlying principles, serving as a tool to figure out which employees deserve more money, opportunities, training, and recognition, which ones deserve a nice severance package, and tries to figure out something to be done with those who’re caught stuck in between the two extremes, with some variation of stretch, train, observe, or develop.